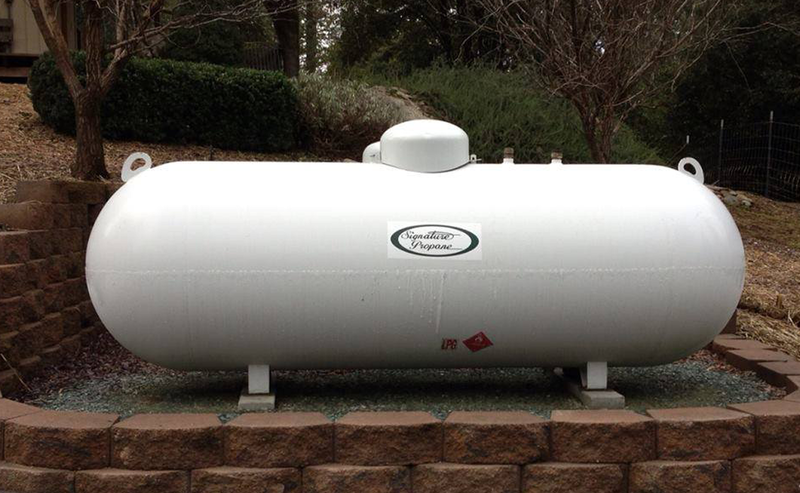 Propane tanks are the storage containers for propane in its liquid form. Tanks are available in many different sizes being engineered and designed for propane containment at high pressures. Propane tanks are designed for both stationary and mobile use. The propane tank itself is what allows propane and its usable energy to be portable. The propane industry is educated about tanks, proper tank installation, requirements, laws and procedures governing the repair of tanks and systems they service. It is of the utmost importance that unlicensed individuals do not attempt to make repairs or modifications to their propane tanks. Because the laws and safety practices change within the propane industry, tank installation and maintenance should only be performed by those who are familiar with these codes and regulations regarding propane tanks. This cannot be stressed enough. DO NOT MOVE, REPAIR OR MODIFY ANY PART OF A PROPANE TANK OR ANY PART OF THE PROPANE SYTEM. The information provided within this section is for consumer educational purposes only and is intended to better familiarize propane users with propane tanks and their parts. Propane tanks are widely known as being either portable or stationary. Portable tanks, known as bottles or cylinders are used as a fuel source for gas grills as well as forklifts. Stationary propane tanks are often found behind homes or businesses supplying all propane powered appliances in the structure. Stationary propane tanks are also used to refill cylinders and mobile containers at bottle plants. Although tanks and propane storage containers are subject to rules and regulations, this section is designed to acquaint consumers with their tanks at all levels with the hope that safety will be their priority by knowing what to look for.